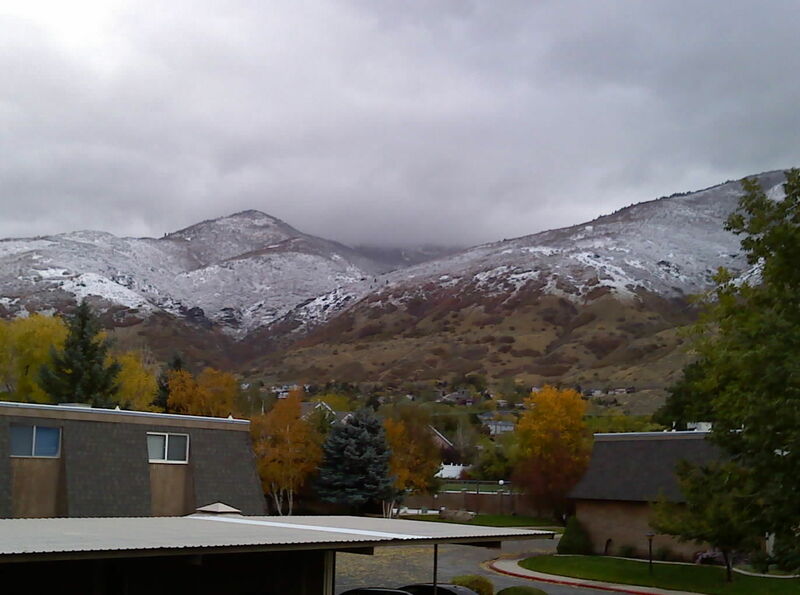 It certainly seems that winter has arrived in dramatic fashion in the Wasatch. The change happened fast. At least as far as any snow rider is concerned, winter is here. I have been itching for it for a while. Now I find myself trying to suppress my urges. The salty older dog in me is trying to hold down the urges to get out in it. He knows that this needs time to settle out and fill in the cracks. Besides it was still fall just a couple days ago. 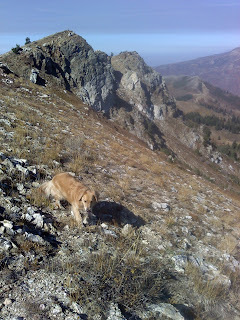 ^It was just a few days ago that Murphy and I were up scouting new terrain for the season that we were looking forward to. It was warm enough for Murphy to want to be playing in the creek. 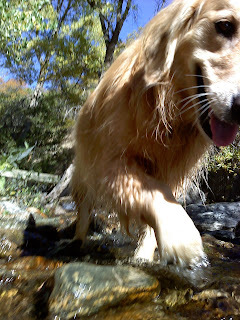 She was getting after it that day. Maybe she knew something I didn't. ^Even up at like 9,500 feet the weather was still pretty warm. I was scouting a zone up in this bowl that will receive killer morning light. There are cabins down in the basin of this bowl. Would love to gain this from the doorstep of one of those cabins on a cold clear morning for first light turns. ^I was fortunate enough to have good luck in timing. As I arrived to work on Saturday I was able to snap this pick of Old Man Winter arriving in Utah. 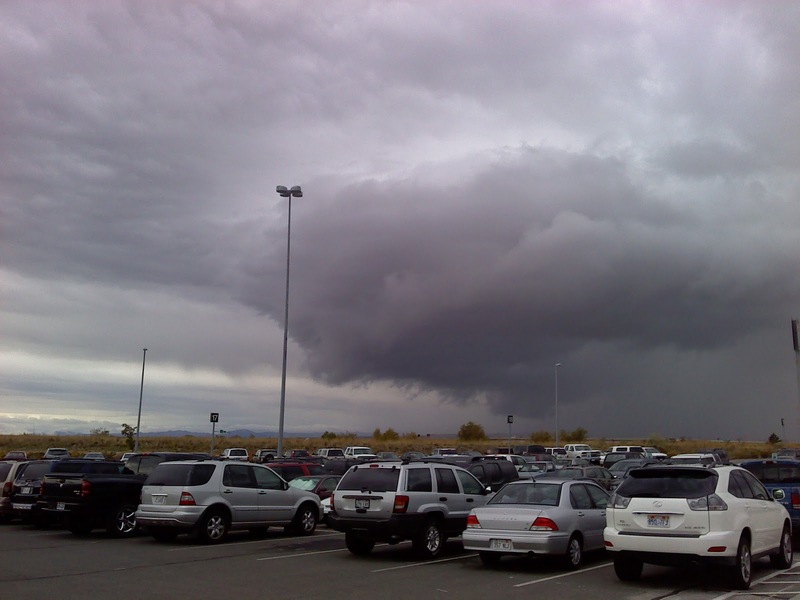 This was the front of the first storm to arrive in this series of waves of precipitation smashing into the Wasatch. I felt blessed to be witness to his arrival. I found myself sitting outside in the weather in full rain gear on my airplane gate. ^This morning the clouds lifted for a little while and the foothills showed us what they've been up to. The snow line here is probably around 5,000 feet or so. It got pretty cold last night so the line dropped down quite a bit. This is a pretty dramatic one. The resorts could see 20-40 inches by Wednesday morning. I have yet to get up in it to check out the composition of this stuff. Hopefully it is some good basal snow for the setup of a spectacular winter. It certainly feels that way from where I am. However, my emotional bias should be accounted for. Feels so good it hurts.